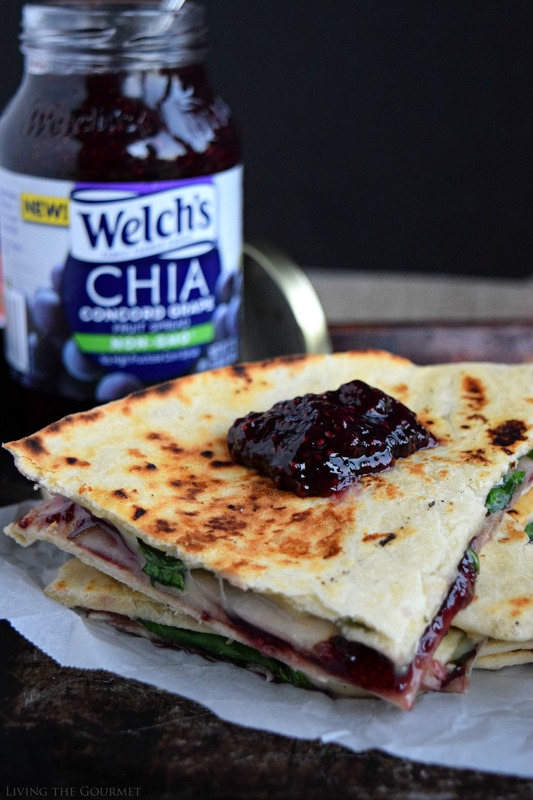 Welch’s Chia Fruit Spreads are paired with fruit slices and melted brie for an easy and delicious lunch! I remember, quite vividly, a debate I had with one of my professors regarding the value of tradition, and mind you that my classicalist leanings were at their height at the time. “Tradition is fine,” he remarked, “until it parts ways with practicality and basic human enjoyment. Remember, today’s longstanding traditions were at one point the ‘modern whims’ of our ancestors. Do not so revere that which once was such that you in turn sacrifice that which now is.” Looking back, that was likely a quote or paraphrasing, but I like to imagine he thought of that on the spot to quiet his youthfully overzealous student. Why do I bring this up? 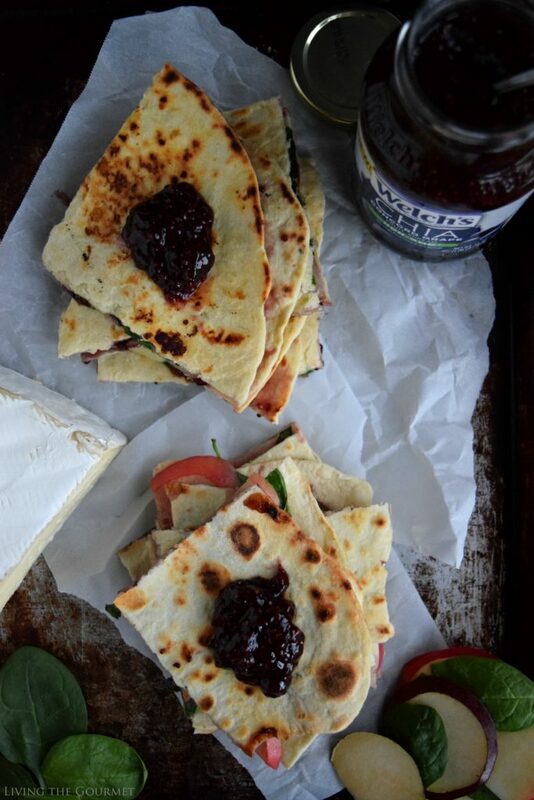 Because of today’s take on quesadillas, of course. 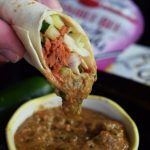 Now, if you’re like…well, anyone, when you think ‘quesadilla’ your first thought is likely of a decadent ensemble of melted cheese, grilled meat, onions, and peppers. If you’re of my persuasion, it’s also probably devilishly spicy. However, indulge me and picture this setting for a moment. It’s a chilled winter evening, my niece is staying over, and she wants to help me prepare something fun for dinner. Now, since I wanted to keep things on the simpler side, and didn’t have any spicy peppers on hand, I needed to get a bit creative. 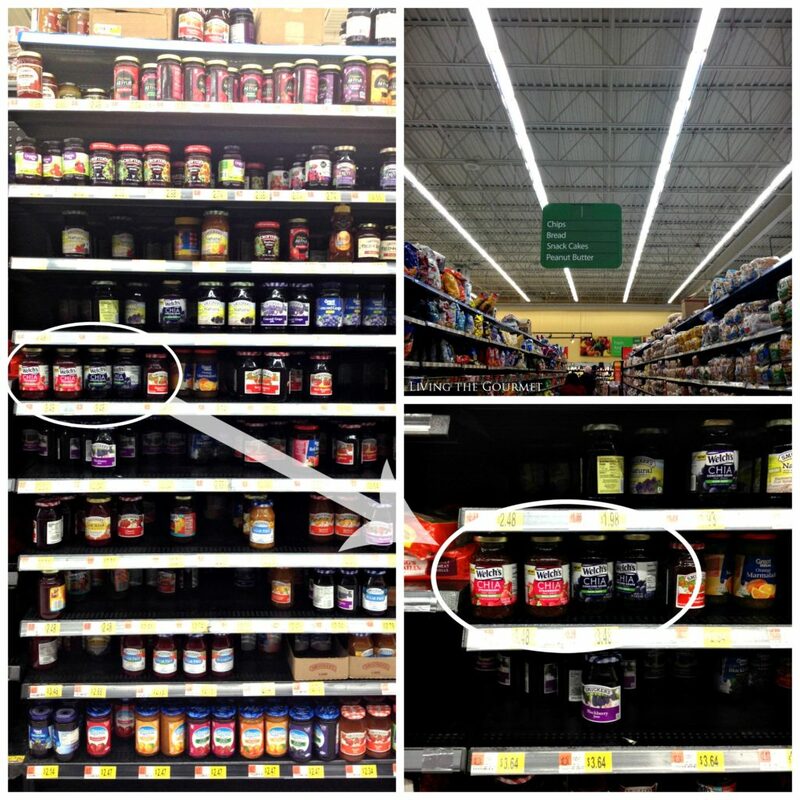 To start, I had picked up a few jars of Welch’s Chia Concord Grape Fruit Spread at Walmart a few days prior, along with a few jars of the Strawberry variety. 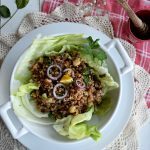 It had caught my eye on the shelf, and I found myself wanting to try it out in a less-than-conventional recipe such as today’s, since I’ve not really tried cooking with chia before, and this seemed like a good way to start. Since these are non-GMO, features real sugar and no high fructose corn syrup or artificial colors or flavors, Welch’s Chia Fruit Spreads are clearly a ‘better for you’ option – in addition to simply tasting great. 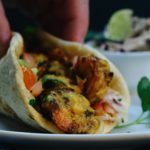 Now, first things being first, we started out with some of my signature homemade flatbreads, the recipe for which is right here on the site. 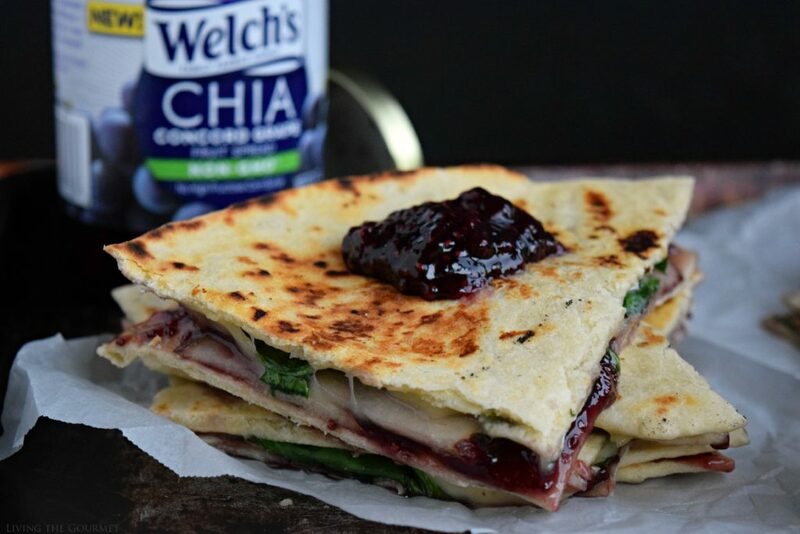 Once those were done, we assembled a generous serving of brie, fresh baby spinach, alternating apple and pear slices, and the Welch’s Chia Concord Grape Fruit Spread between two of the flat breads and then proceeded to heat the griddle or heavy cast iron frying pan. Gently grill them on each side until the cheese is melted and we were done. Simple, right? 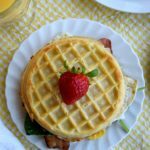 If you don’t have a cast iron pan and a griddle…well, you need to go shopping. Heat a griddle or cast iron pan. Spread the Welch's Chia Concord Grape Fruit Spread on a flat bread. 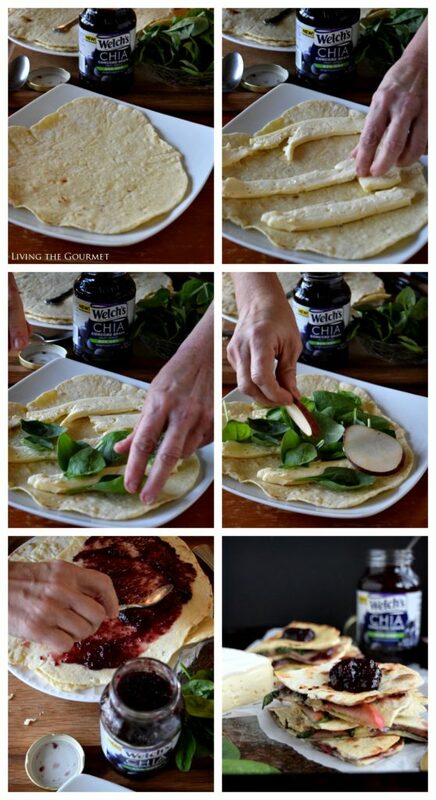 Spread the brie cheese on a second flat bread, then top with baby spinach leaves and either pear of apple slices. Close the two slices together and place on the hot griddle or frying pan. When the cheese begins to melt, gently turn over and heat the other side. 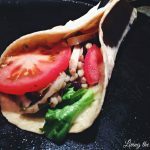 Needless to say, it was a fair bit of kitchen fun with a less-than-conventional take on a ‘traditional’ favorite, and a great way to incorporate chia seeds into a meal. They look like a perfect lunch! 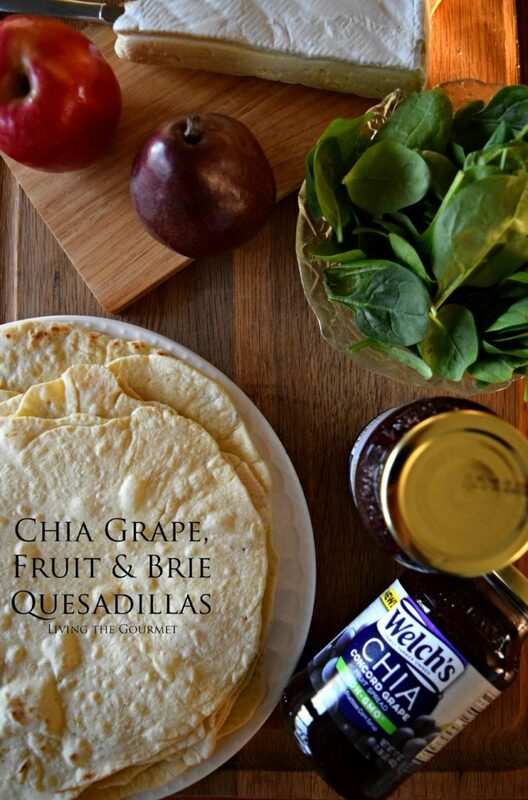 I love the idea of a fruit quesadilla! 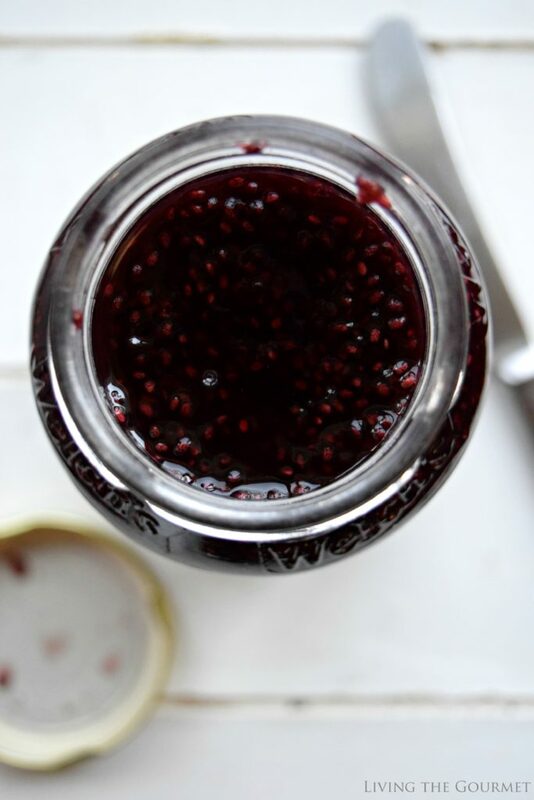 The addition of the chia fruit spread is an awesome idea. We use chia in everything at our house. Wow! 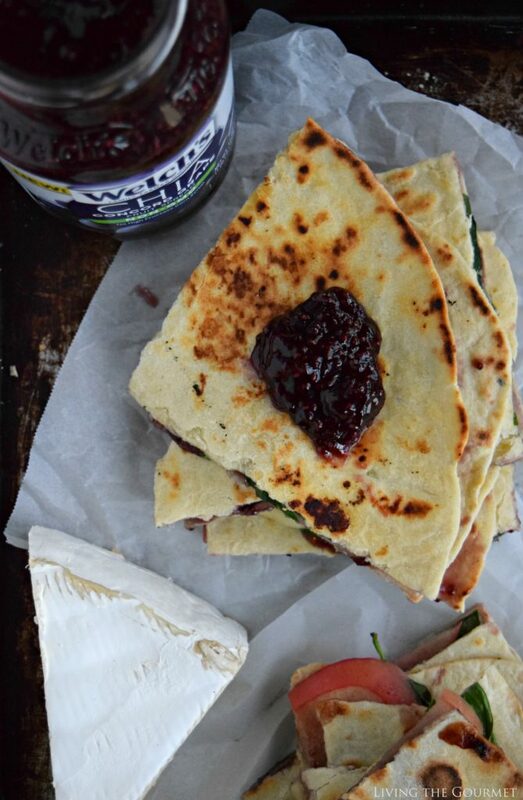 Your Brie and fruit spread quesadillas look so elegant and delicious!! What a marvelous treat!